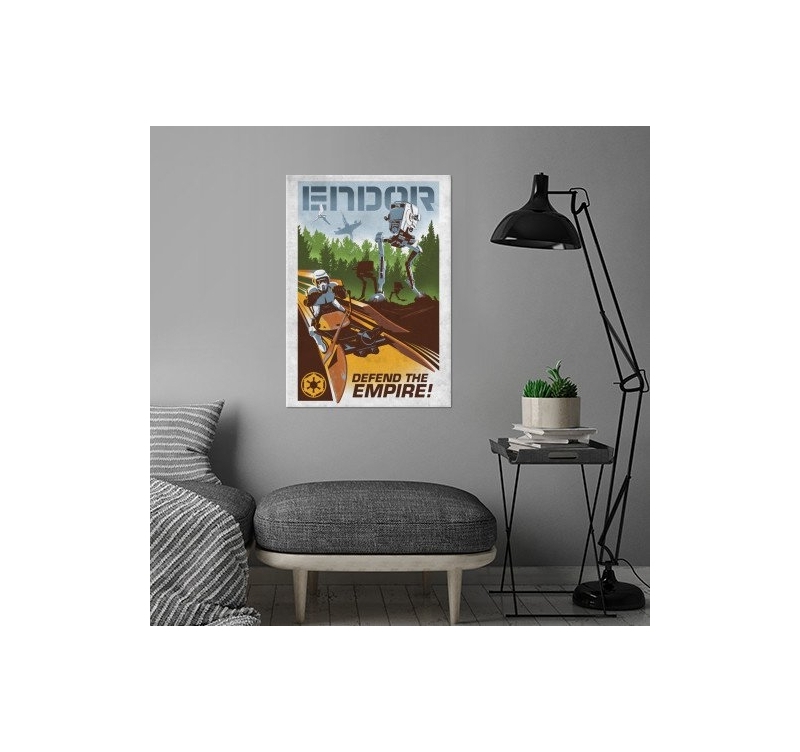 The planet of Endor on a vintage metal poster ! 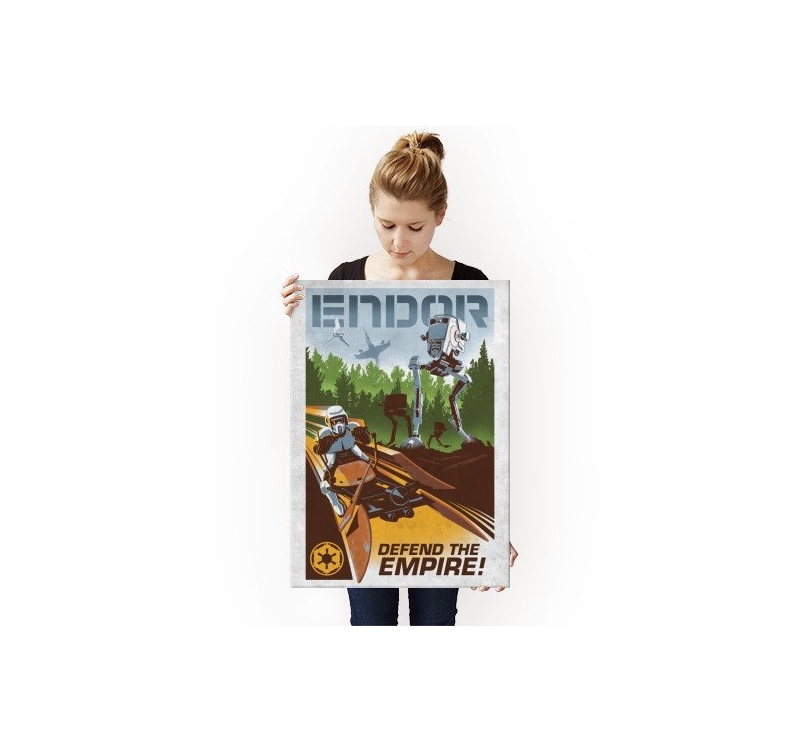 The dimensions of this metal poster of the Empire are 48 x 67.5 cm. 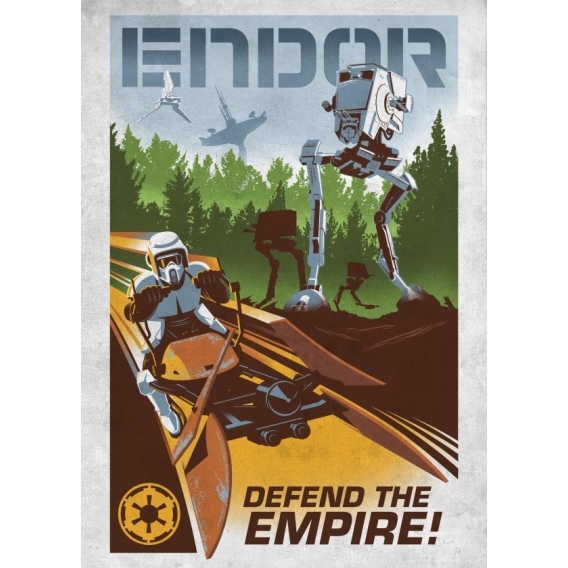 Endor is a very important Star Wars planet where the Empire has a base to generate its shield. 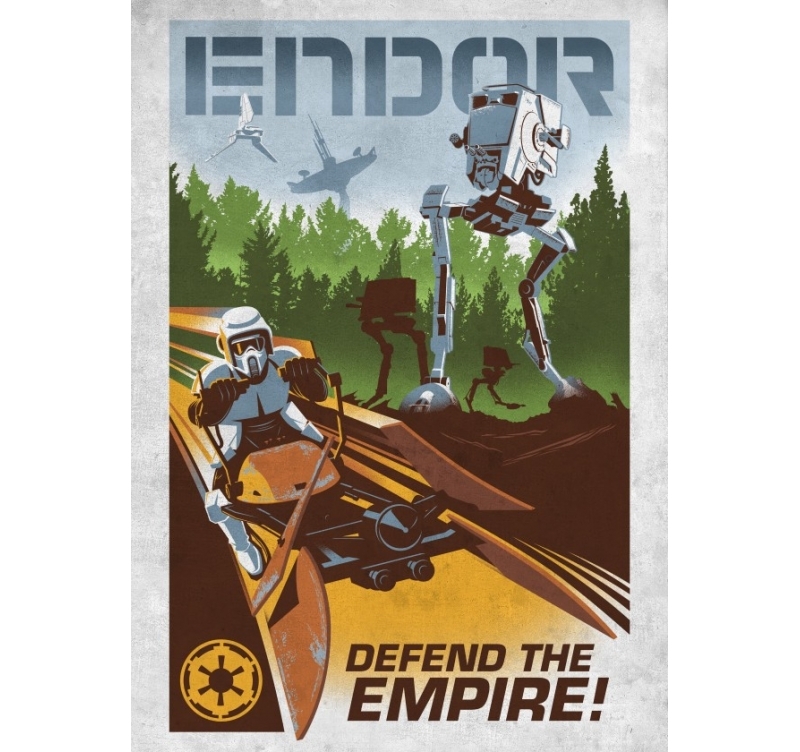 This retro metal poster depicts the mythical battle between Rebellion and Empire that was the delight of Star Wars fans. 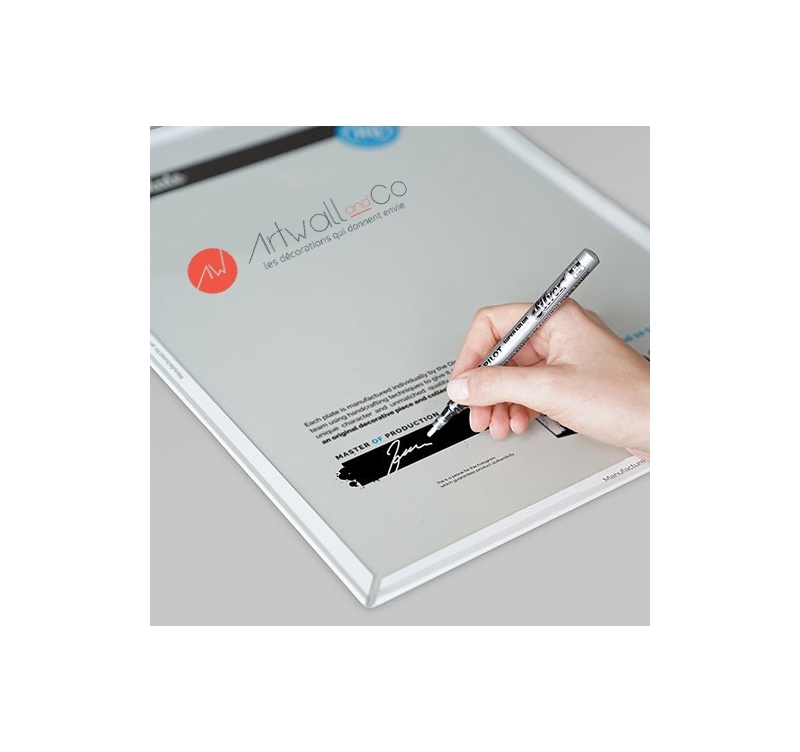 With old school colors and a movie poster style, this Star Wars metal poster would be perfect for your home decor. 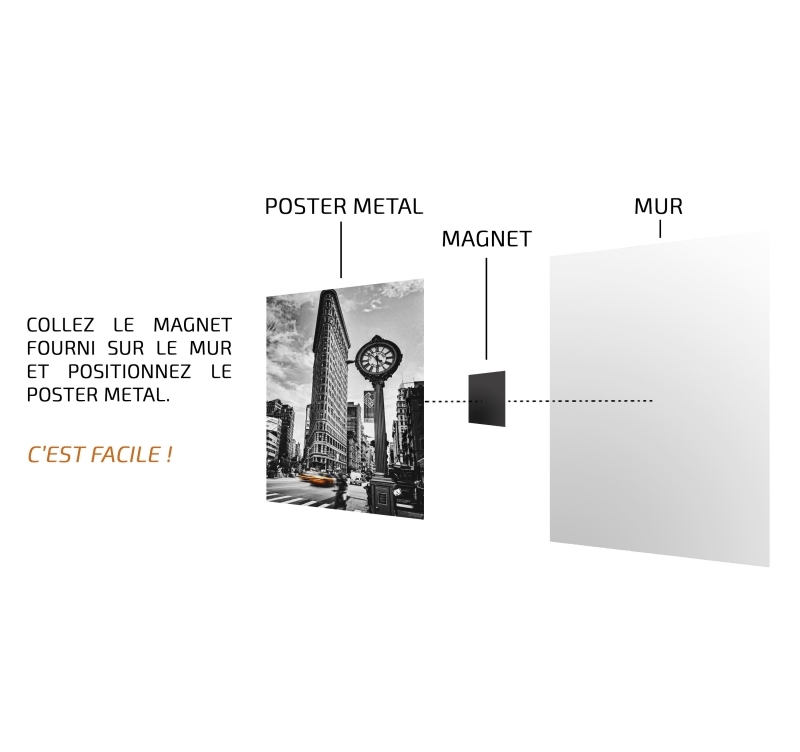 This metal poster is from our collection of Star Wars collector posters that are signed by our production manager.A hologram is present on the back of this original poster to authenticate it and make it a collector's item for your walls.For a very simple installation, a magnetic hanging system comes with this collector wall poster without the need for holes or nails.